Gotham is a Drama Fantasy Crime TV Series created by . It stars Donal Logue, Ben McKenzie, Erin Richards, among others. 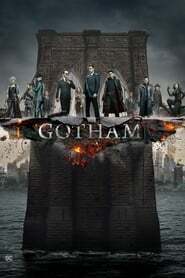 Gotham is currently rated 6.8 stars on the ReelBugs scale. Do not read if you don't want to ruin the show. Who is here before the final episode of GOTHAM!!! And after Batman... well, there was still Gotham. I cannot believe that tonight's the final episode of this awesome show. I think this is the first ever show I've watched from start to finish every night when it aired. Its been quite a journey watching these characters grow and develop over the years. Wish they made a proper sequel of a Batman show after the finale which I doubt will happen but I'm glad that they were given the chance to wrap Gotham's story in this final season. show keeps getting better.. watched the first 10 episodes only, but the villains in this show are exceptional... they're the true stars... oh and I didn't know Jim Gordon was a badass! Much respect for the man! 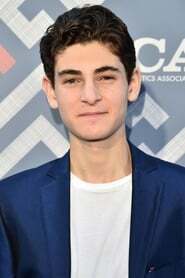 I wonder if Gotham will share universe with Arrow and The Flash, that will be awesome, even though that probably Gotham will be in a different place in time, being that Batman is only a 13 year old boy, but maybe they could include some connections between the TV-Shows, like a 13 year old Oliver Queen. I just love Jim's actor. 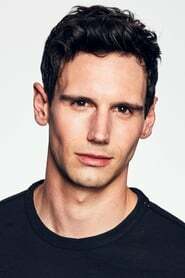 If I see him with a mustache in season 2 I will cream my pants. Why is there no Joker! At first I was like "no...", but towards the end i was like "YASSSSS"
What I find really interesting here is that they chose Benjamin McKenzie to play Jim Gordon. For those who don't know Benjamin McKenzie voiced Bruce Wayne in "Batman: year one". Well in that movie you get to know more about the City i.e Gotham and about Jim Gordons life. My theory is that they might actually use material from "Batman: year one", cuz for what it looks like, it does have some similarities. need I remind everybody of what happen to Firefly. Fox needs to hold their ground this is a fantastic series they need to let it run at least two seasons. Fox has a very bad habit of cancelling the show because the ratings don't look good after the first season. any supernatural or comic book show from Buffy the Vampire Slayer to agents of shield.... needs at least one season to get their footing and get their stride. unfortunately Fox tends to cancel shows just as they start to get there footing. Looks awesome. Is it cancelled yet? This is not about Batman! It's about Jim Gordon and Gotham before Batman!